Fish is a high-protein, low-fat food that provides a lot of health benefits. It contains unsaturated fatty acids, which may decrease cholesterol levels when substituted for saturated fatty acids. If you are tired of eating red meat and poultry all the time, then fish is a fantastic alternative. Fish serves as a complete protein like red meat. Your body needs protein to create enzymes, transport oxygen, and maintain healthy tissues, including for the body muscles, hair, and skin. The four most commonly eaten fish are canned light tuna, salmon, pollock, and catfish. Each type contains at least 25-36 grams of protein per serving. Some healthy fish, like the bluefin tuna, contains a healthy amount of selenium with 57% of the daily recommendation in a three-ounce serving. Selenium can improve bone health by adding strength and durability. Additionally, selenium can strengthen the teeth, hair, and nails. This critical nutrient is a potent antioxidant, which can rid your body of free radicals. Phosphorus and zinc in the fish make huge contributions in helping build strong bones with a healthy bone matrix. Fish are rich in B-vitamin complex such as riboflavin, vitamin B12, and niacin (B3). Riboflavin assists in the conversion of carbohydrates to sugar, which fuels the body’s many functions. Vitamin B12 assists in energy production and blood formation, DNA synthesis, and helps form the fatty substances around brain cells, called myelin. Niacin has been known to increase “good” cholesterol levels and reduce the risk of cardiovascular problems. A deficiency in niacin leads to Pellagra - a disease characterized by diarrhea, dementia, dermatitis, and insomnia (the inability to sleep). Another benefit of eating fish is that the high content of magnesium can help improve the quality, length, and ‘calmness’ of your sleep. This mineral also helps reduce sleep disorders and the chance of insomnia by regulating body metabolism. An additional health benefit of fish is that it contains unsaturated fatty acids, which may decrease cholesterol levels when substituted for saturated fatty acids. Fatty acids, like docosahexaeonic acid (DHA), occur mostly in fatty fish such as herring, salmon, and mackerel. They are thought to lower blood pressure, strengthen the immune system, and have positive effects on the development of the nervous and cardiovascular systems. Notwithstanding the above, fish is universally famous for its omega-3 fatty acid content. Omega-3 fatty acids are a particular type of unsaturated fatty acids that may reduce inflammation in the body. Inflammation is the body’s first attempt at protecting and/or healing itself. Too much inflammation is not good for the body and several studies are being conducted to analyze the link between inflammation and heart attacks. Research has suggested that omega-3 fatty acids may have the potential to decrease triglyceride levels, lower blood pressure, reduce blood clotting, decrease the risk of stroke and heart failure, reduce irregular heartbeats, and improve learning ability in children. Thus, in conclusion, it is recommended to try and eat fish at least once a week and ultimately include it into your regular diet. Hoshi, T., Tian, Y., Xu, R., Heinemann, S. H., & Hou, S. (2013). Mechanism of the modulation of BK potassium channel complexes with different auxiliary subunit compositions by the omega-3 fatty acid DHA. Proceedings of the National Academy of Sciences, 110(12), 4822-4827. Hoshi, T., Wissuwa, B., Tian, Y., Tajima, N., Xu, R., Bauer, M., ... & Hou, S. (2013). Omega-3 fatty acids lower blood pressure by directly activating large-conductance Ca2+-dependent K+ channels. Proceedings of the National Academy of Sciences, 110(12), 4816-4821. Zheng, J., Huang, T., Yu, Y., Hu, X., Yang, B., & Li, D. (2012). Fish consumption and CHD mortality: an updated meta-analysis of seventeen cohort studies. Public health nutrition, 15(04), 725-737. Mozaffarian, D., Lemaitre, R. N., King, I. B., Song, X., Huang, H., Sacks, F. M., ... & Siscovick, D. S. (2013). Plasma Phospholipid Long-Chain ω-3 Fatty Acids and Total and Cause-Specific Mortality in Older AdultsA Cohort Study. Annals of internal medicine, 158(7), 515-525.
de Goede, J., & Geleijnse, J. M. (2012). The role of fatty acids from fish in the prevention of stroke. BMJ, 345, e7219. Chowdhury, R., Stevens, S., Gorman, D., Pan, A., Warnakula, S., Chowdhury, S., ... & Franco, O. H. (2012). Association between fish consumption, long chain omega 3 fatty acids, and risk of cerebrovascular disease: systematic review and meta-analysis. BMJ: British Medical Journal, 345. Farina, E. K., Kiel, D. P., Roubenoff, R., Schaefer, E. J., Cupples, L. A., & Tucker, K. L. (2011). Protective effects of fish intake and interactive effects of long-chain polyunsaturated fatty acid intakes on hip bone mineral density in older adults: the Framingham Osteoporosis Study. The American journal of clinical nutrition, 93(5), 1142-1151. Roncaglioni, M. C., Tombesi, M., Avanzini, F., Barlera, S., Caimi, V., Longoni, P., ... & Agostini, N. (2013). n-3 fatty acids in patients with multiple cardiovascular risk factors. The New England journal of medicine, 368(19), 1800-1808. Sidhu, K. S. (2003). Health benefits and potential risks related to consumption of fish or fish oil. Regulatory Toxicology and Pharmacology,38(3), 336-344. Verbeke, W., Sioen, I., Pieniak, Z., Van Camp, J., & De Henauw, S. (2005). Consumer perception versus scientific evidence about health benefits and safety risks from fish consumption. Public health nutrition, 8(04), 422-429. Mozaffarian, D., & Rimm, E. B. (2006). Fish intake, contaminants, and human health: evaluating the risks and the benefits. Jama, 296(15), 1885-1899. Torpy, J. M., Lynm, C., & Glass, R. M. (2006). 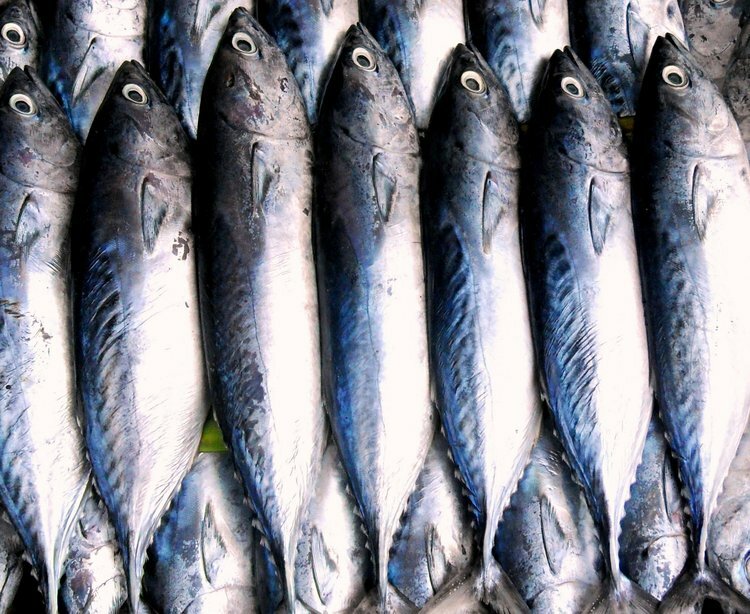 Eating fish: Health benefits and risks. JAMA, 296(15), 1926-1926. Dimitroglou, A., Merrifield, D. L., Carnevali, O., Picchietti, S., Avella, M., Daniels, C., ... & Davies, S. J. (2011). Microbial manipulations to improve fish health and production–a Mediterranean perspective. Fish & Shellfish Immunology, 30(1), 1-16. Uauy, R., & Valenzuela, A. (2000). Marine oils: the health benefits of n-3 fatty acids. Nutrition, 16(7), 680-684.